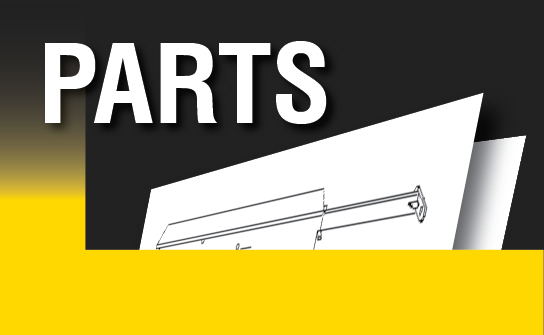 Vector Post Drivers are designed with high grade steel and robust construction to make them virtually indestructable. The durable rope system and free-falling weight makes these drivers low maintenance and economical to own. Designed and developed in Ireland, where land conditions are so variable that true versatility and performance is an absolute necessity, Vector Post Drivers will outlast and outperform any other unit on the market. Vector Post Drivers are not only built for power and versatility - and the best feature is low maintenance. 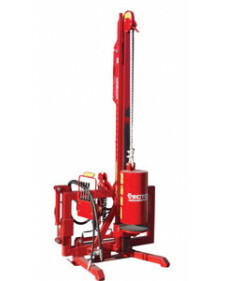 The durable rope system provides approximately four times the life of a cable-lift system - which saves time and money. 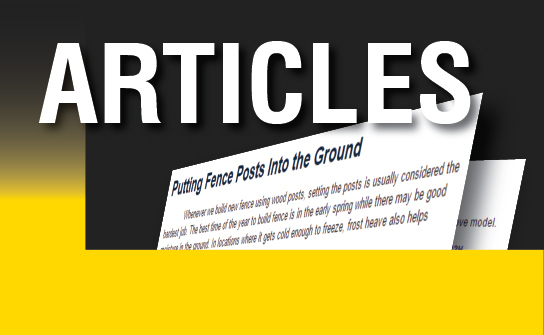 Light posts can be feather-tapped in hard ground, or the full impact of 55,000 pounds can be applied to larger posts. 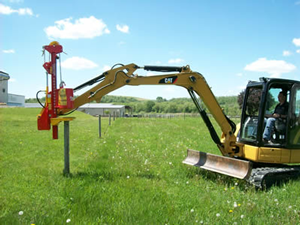 Mounting bracket must be customized for your excavator model - Call for details. 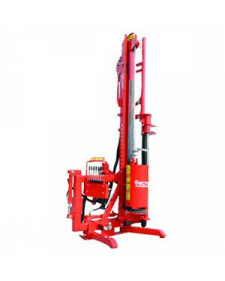 Drives posts up to 11 ft tall and up to 12" diameter. Designed and developed in Ireland, where land conditions are so variable that true versatility and performance is an absolute necessity, Vector Post Drivers will outlast and outperform any other unit on the market. Vector Post Drivers are not only built for power and versatility - and the best feature is low maintenance. 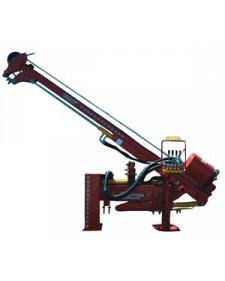 The durable rope system provides approximately four times the life of a cable-lift system - which saves time and money. 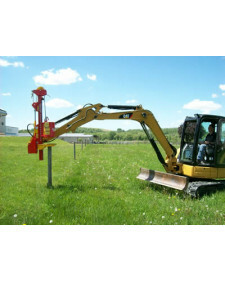 Light posts can be feather-tapped in hard ground, or the full impact of 125,000 pounds can be applied to larger posts. 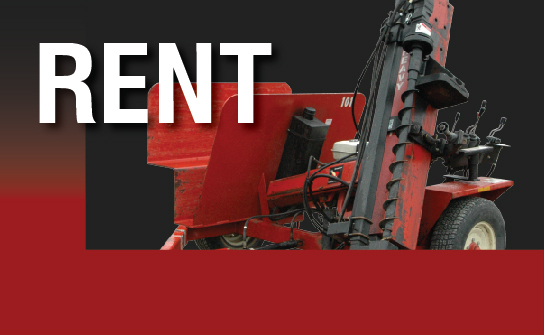 Vector Post Drivers are not only built for power and versatility - and the best feature is low maintenance. The durable rope system provides approximately four times the life of a cable-lift system - which saves time and money. Light posts can be feather-tapped in hard ground, or the full impact of 90,000 pounds can be applied to larger posts.